I don’t know how I first heard about the Taller Martín Pescador. It may have been while reading the Primeros Libros blog, which has a brilliant video about the printer, Juan Pascoe and about the press where he prints his remarkable books. Efraín Huerta’s 50 Poeminimos, printed at Taller Martín Pescador. Photo Credit: Harry Ransom Center, The University of Texas at Austin. The Harry Ransom Center holds four books printed by Juan Pascoe. Like most of the HRC’s holdings, these books can be viewed by anyone with a driver’s license (not just students) willing to watch a 15-minute informational video about archival safety. This is different, of course, from the archives that Arturo Belano and Ulysses Lima visit in Los detectives salvajes, where they are turned away at the door. The books are, as Boullosa writes, exquisite. 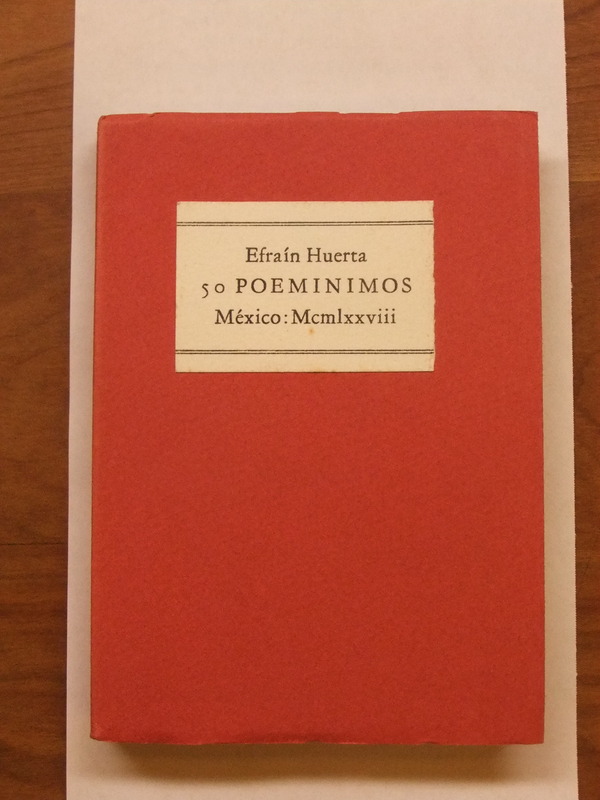 Efraín Huerta was known for his “poeminimos,” or very short poems, like the one printed above; 50 Poeminimos, printed in 1977 in a petite edition with a deep red cover on thick, cream-colored paper, is a powerful vessel for these miniature poems. Efraín Huerta’s 50 Poeminimos. Photo Credit: Harry Ransom Center, The University of Texas at Austin. 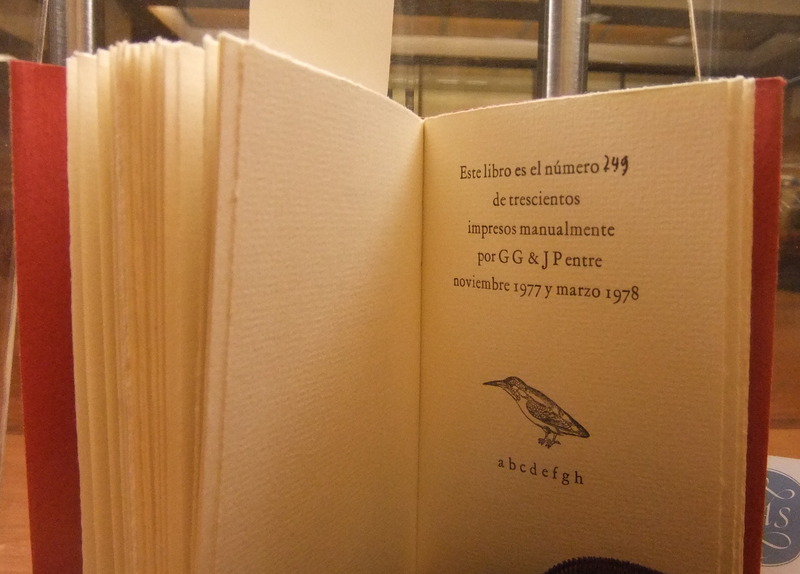 The HRC also holds a rare, hand-pressed copy of Bolaño’s first book, also printed at Taller Martín Pescador. The chapbook cover features a print of intertwined women’s bodies by the visual artist Carla Rippey. An archival artifact, the pages of this book are uncut; only half the poems can be read, the others are sandwiched between sealed paper. 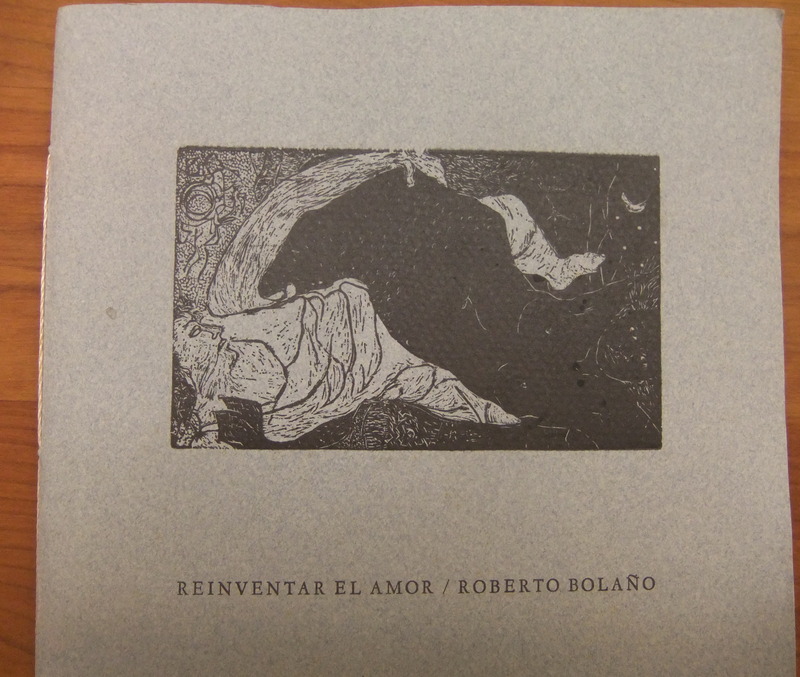 Reinventar el amor, Roberto Bolaño’s first book of poetry, printed by Taller Martín Pescador. Photo Credit: Harry Ransom Center, The University of Texas at Austin. There is something overly symbolic about tracking down the archival traces of Bolaño’s poetry: sitting quietly in the Ransom Center, the whole enterprise begins to feel not quite savage enough. Like we should be drunk, we should be conducting a drug deal, we should be fleeing for our lives. Like the stakes should be higher and the poetry should be so much more present.